To become a karate master takes time--and especially, passion. We all like shortcuts. Saves energy, saves time. Delayed gratification? Life is short. You need to get your 10,000 hours in. There is no shortcut for that. Or is there? Let me share with you a simple secret to achieving mastery sooner rather than later. Choose your profession wisely. Make your passion your profession. Why? By making your passion your profession, you will be spending at least 40 hours a week doing it. Do the math. Those 10,000 hours will take a lot less time than someone who does it as a hobby. A bonus—you are getting paid to become a master. For example, I have been teaching martial arts professionally full-time since 1994. At five days a week it has been a much quicker learning curve than someone who dabbled in it, maybe training once or twice a week. For most of those years I trained outside of class in other martial arts or doing private training. I have never looked at this as work, to me it was great fun. How do you discover your passion? For me it was simple. I went back to high school, even grade school and tried to remember when I was happiest. It sprung out at me without a great deal of thought—the athletics field. Physical education, recess, lunch hour, after-school sports. I spent every second chasing after balls or people, never sitting still for a minute. I still remember Mom reading the report cards from school, always a variation of the same theme, “Matt has a hard time being still and concentrating”. I still find it difficult to stand still. Why fight it? I now move for a living. A master? Maybe, but there is always something new to master. A Shortcut on the Road to Mastery is an original post by Sensei Matt Klein. 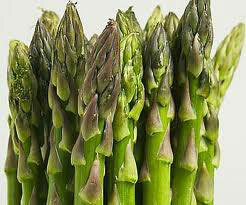 Asparagus is now my favorite vegetable. I would never have known if I hadn't tried it. You must take a chance in life. When I was a kid I hated asparagus. Why? I thought the name sounded awful. What a dumb reason!I tried it as an adult and it is now my favorite vegetable. I eat it three or four days a week. Same with baby spinach. I tried canned spinach as a child and hated it. Fresh spinach is worlds away from the canned variety. I just assumed that all spinach tasted the same. Big mistake. The fact is, every thing you now enjoy was once a new experience. You now eat chocolate because you gave it a try years ago. You train in martial arts because you had the courage to try something new, even though at the back of your mind you thought, “maybe I’ll get hurt or look like a fool”. See my recent post, Martial Arts | Ego is Not Your Friend. I never tried to draw anything for most of my 52 years of life. Why? Because someone at some stage of my early school years told me I was a “rubbish artist”. I believed it. Recently I tried Chinese Calligraphy and taught myself to draw using a tracing method. I’m not going to be another Picasso, but I’m not bad, and I’ve discovered calligraphy and drawing are very useful skills. And like the martial arts, these activities are very Zen in that you are “in the moment” when doing them. They are extremely relaxing activities. I am now learning and teaching MMA. It has been especially rewarding as I can see how it ties everything together in the martial arts. 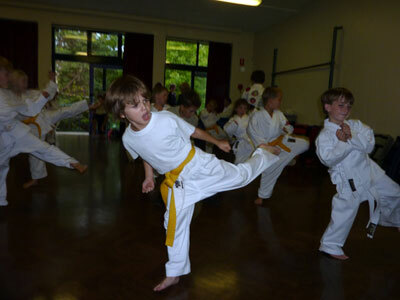 It has given me new focus and enthusiasm for the martial arts and for learning. I’ve had parents tell me their children are really jazzed about MMA. A bonus—it gets you fit big time. A wise teacher once said to me as a kid, “don’t waste your precious time watching other people live their lives on TV. Get out there and live your own! Take a chance and try something new. The world is a big place and there are many places to see and things to do. Your life will be better for it. Happy Birthday to Kids Karate Sensei | Who Inspires Me? The kids karate sensei is still a white belt in blogging, but learning a lot. Happy birthday to us, happy birthday to us, happy birthday……well, you get the picture. Today our blog is one year old. 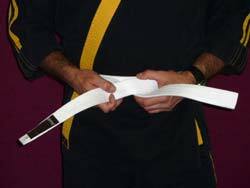 When I wrote the first post on the 8th of May, 2010 entitled Kids Karate Sensei Becomes White Belt Again, I had no idea what I was doing. Still don’t. But I know more about blogging than when I started. That was 52 blog posts ago. Still heaps to learn. This blog has been a great experience for me. I have learned much about blogging, but more important, have strengthened my background in my speciality, martial arts for children, in a big way. I have become a better writer. Blogging forces you to make your point quickly, or you will lose your audience. As a bonus, I have made many friends all over the world online through my Kids Karate Sensei blog. Blogging is demanding. Each week for the last 52 weeks I have had to come up with a topic, research it, and write about it–whether I felt like it or not. And believe me, there were days when I did not feel like it. But I made it. I had two secrets—passion and inspiration. Let’s talk about passion first. Passion is what drives us in our careers and our hobbies. Luckily for me, I chose a profession and blog niche that just happens to be my passion. I get paid for “playing martial arts” as a kids karate sensei. I could literally train in it, talk about it, and write about it all day long. That gives me an unfair advantage. I’ll take it. Inspiration—it is everywhere. 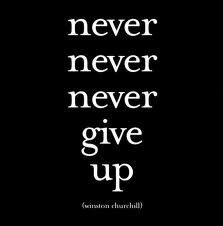 It is what motivates us to be our best. 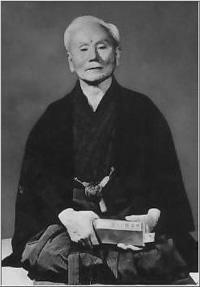 Here are some martial artists that inspire me. Who Inspires the Kids Karate Sensei? Muhammad Ali. Ali spoke up for what he believed in. He even went to jail for it. His views were unpopular at the time, but nevertheless, he was brave enough to stand up for them. As the son of a hard-nosed US Marine, I would have gone to battle in Viet Nam had I been a few years older. But Ali made a lot of people question this war. History ended up being on Ali’s side. Ali talked trash, but not in a devious way. He made it more friendly, and it was obvious he was not serious, just drumming up his fights. He was a master at this. And most of all, he could back it up. When he said, “I am the greatest!”, you laughed, but at the same time believed it. You could feel his confidence. I was able to meet him years ago. Last September, I wrote The Night I Met Muhammad Ali: Getting What You Want Out of Life. Georges St-Pierre is inspiring with his sheer athleticism and warrior's attitude. Georges St-Pierre. His work ethic. His warrior attitude. His respect. His sheer athleticism. What is there not to admire? What I would to to train with him. UFC President Dana White said, “He’s got a ton of charisma, he is probably the most athletic guy in MMA, every time he fights he gets better and better, and realistically, I’d have him up there at the top of the list with one or two of the best pound-for-pound fighters in the world”. John Will. I have a pretty high energy level and work rate, but keeping up with this guy is like a weekend jogger trying to match it with Olympic distance runners in the New York Marathon. Check out his blog posts at Brazilian Jujitsu Australasia and you will see what I mean. He writes something (and something very meaningful) almost every day. This from a guy who constantly travels around the world imparting his vast knowledge of Brazilian Jujitsu to his far-ranging students, writing countless books, producing outstanding videos, and running his own very successful school in Geelong, Australia. John is the highest ranking BJJ expert in Australia. John, you make me tired thinking about it, but you inspire me greatly at the same time. Bruce Lee. Every time I watch a Bruce Lee film I am inspired for days. What he could do with his body was amazing. His speed, strength, flexibility, and timing were legendary. But what really inspired me about Bruce Lee was his passion, willingness to try new things, and incredible thirst for knowledge of martial arts. He lived and breathed martial arts. How did Bruce Lee find the time and energy to read thousands of books, write his own, act in movies, teach others, and train like he did? Cristiane Cyborg Santos. Santos is currently the #1-ranked pound-for-pound female MMA fighter in the world. She is a human wrecking ball. Her biggest problem; getting people to fight her. This is a shame. After I watched her in action for the first time, I was hooked. Santos holds a purple belt in Brazilian Jiu-Jitsu and is also a member of the Chute Boxe Academy, which is the proving ground for one of Brazil’s largest sports, Vale Tudo. 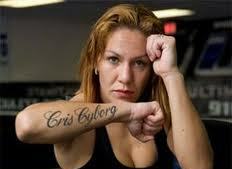 Cristiane Cyborg Santos is a "human wrecking ball". Her biggest problem is finding opponents that are willing to fight her. Our Kenpo tribe. Our girls and boys, men and women, who have put themselves on the line in tournaments. Our kids patiently learning new techniques. Our great instructors, who are able to impart their knowledge in a friendly, non-intimidating atmosphere. Our supportive parents, who are there for the children every week. They all inspire me. And a non-martial artist who has inspired me. Jessica Watson. For someone to sail around the world solo, it is an amazing feat. But Jessica was sixteen years old when she did it. The achievement speaks for itself. Read about it here on my blog post, entitled Karate Kids and the Jessica Watson Story. Happy Birthday to Kids Karate Sensei | Who Inspires Me? is an original blog post by Sensei Matt Klein. Martial Arts Training: How Much Do You Remember? Years of training in martial arts make the student unlikely to forget his or her techniques in an emergency. Do you ever forget your martial arts training? Last month I ran into a father of one of my ex-students, who I have seen socially over the years. His daughter Jessie, was about eight years old when she started with us, and continued on until about eleven, when she dropped out as a green belt. High school became more demanding, and she was a very busy girl. I remember her as a conscientious, hard-working student with an excellent attitude, one who probably would have obtained her black belt if she had remained with us. As we got to talking, the father said martial arts was the best thing for Jessie as it increased her self-confidence in a big way. He then told me a story about something that happened to Jessie, now 20, recently. At a nightclub, another girl started a fight with Jessie. Although Jessie did everything she could to avoid the confrontation, the girl took a swing at her. She responded by dropping the attacker with a front snap kick, knocking the wind out of her. She did not seriously hurt her, but after the kick, the girl wanted no part of Jessie. This happened nine years after Jessie dropped out of karate. She remembered what we had taught her when it really mattered. The many hundreds of snap kicks Jessie performed in her classes years ago were part of her muscle memory. I was not surprised by this as I’ve had many students return to us after several years off, and they pick up where they left off amazingly fast. Do you have any similar stories about remembering (or forgetting) martial arts training after several years? In an emergency, does it come back quickly for everyone or do most forget it? I would like to hear from you.